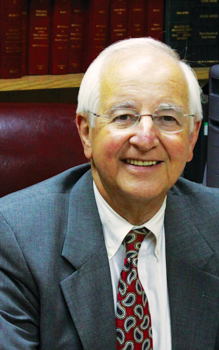 Sid Easley has had vast experience with several areas of law. He was selected Calloway County Attorney early in his legal career and advised the County on all civil matters plus prosecuted both felony and criminal cases. Under Kentucky’s new judicial system he was elected asthe first District Judge for Calloway and Marshall Counties. After completion of the judgeship he joined the firm of Hughes and Gregory and immediately began an active trial practice. His practice consisted primarily of insurance, medical malpractice and products liability defense. Even during those years when he was actively engaged in trying cases he maintained an active office practice writing wills, trusts, business instruments, contracts etc. Today his practice consists mostly of estate planning, settling estates, trust administration, elder law, business agreements and real estate transactions. Born in Murray, KY in 1979, 1998 graduate of Calloway County high school, 2002 graduate of University of Kentucky, 2005 graduate of Vanderbilt University Law School, admitted to practice law in 2005, began practice at Gregory & Easley in 2005, became partner of Gregory, Easley & Ernstberger in 2007. He is a member of the Calloway County Bar association since 2005, the Kentucky Bar Association since 2005, the American Bar Association since 2006, the Kentucky Justice Association (formerly Kentucky Academy of Trial Attorneys) since 2007. He is admitted to practice law in all courts of the Commonwealth of Kentucky, the United States District Court for the Western District of Kentucky, the United States District Court for the Northern District of Illinois, and the United States Bankruptcy Court for the Western District of Kentucky. Since being admitted to practice law, Mr. Ernstberger has practiced primarily in the areas of Personal Injury, Criminal Defense, Civil Litigation, and Divorce/Family law, as well as practicing generally a variety of other areas of the law. 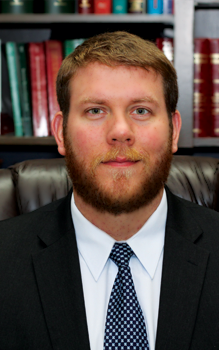 Mr. Perlow is a graduate of Calloway County High School, Murray State University, and the Michigan State University College of Law. In Michigan he worked for the law firms of Church, Kritselis, and Wybel, and the Abood Law firm handing transactional and litigation matters in the areas of real estate, commercial transactions, corporate law, personal injury, and criminal law. Additionally, while at the Abood Law firm, he worked on the nationally publicized Drew Peterson case. After several years in Michigan, he and his wife Stephanie, who is also an attorney, moved closer to home. 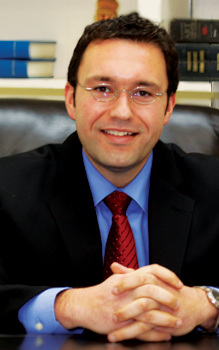 Mr. Perlow has served as President of the Calloway County Bar Association, is an adjunct professor at Murray State teaching American Government and Business Ethics, and has given presentations about constitutional law, impeaching witnesses at trial, and conducting a defense of a client charged with murder. Additionally, he has authored several published articles involving nursing liability, automobile insurance claims, and legal ethics. He will be handling cases involving all areas of law but will be spending a significant amount of time working with clients on wills, estate planning, and probate. I really thought I was in trouble and that my stupid mistake would cost me for the rest of my life. Bryan took my case personal and went above and beyond to make sure that didn’t happen. They have always been there when I call and I am very thankful for their work and friendship.